Oversized Style Bow Tie Handmade from Vintage Necktie and Decorated with Fancy Rose Brooch. It’s an Exceptional Accessory for Brave Original and Stylish Man or a Woman! It’s Pre-Tied and Has a Button and a Loop Closure at the Back. 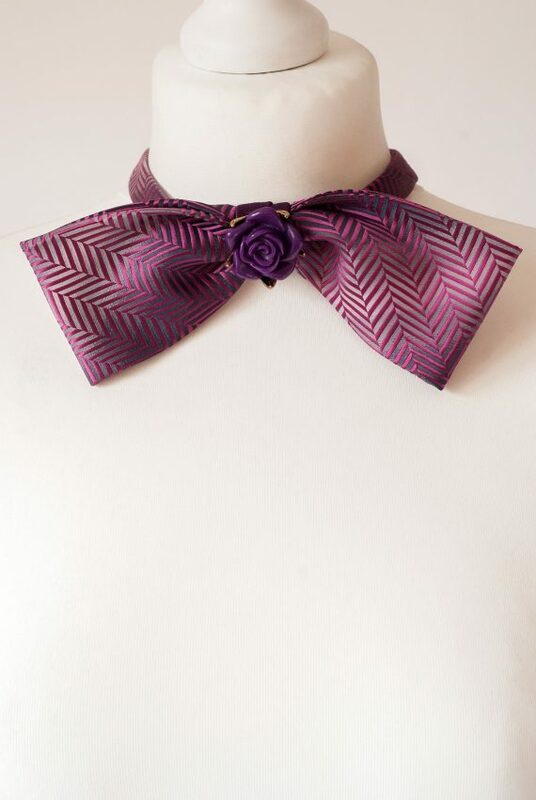 Pre-Tied Bow Tie; Collar Length: Made to Fit. Please Put Your Neck Measurement or Short Description in a Box Provided in Check Out.